“The investments and long-term strategy that GO has been adopting over the past few months, have given us the capacity to provide businesses of all sizes the communications services and ICT solutions they require, all under one roof. This is how we are now positioned to cater for Malta’s fledging gaming industry,” said GO’s CEO Nikhil Patil. “These past weeks especially, have been very special for us. One major development – our announcement that we were opening up our fibre network to other operators to offer their broadband services to their customers confirmed the power and capabilities of GO’s network and our commitment as enablers of business growth and opportunity. “This would have not been possible had GO not invested millions to ensure a robust electronic communications infrastructure to service the increased demand and to support Malta’s growing economy and emerging industries,” said Mr Patil. 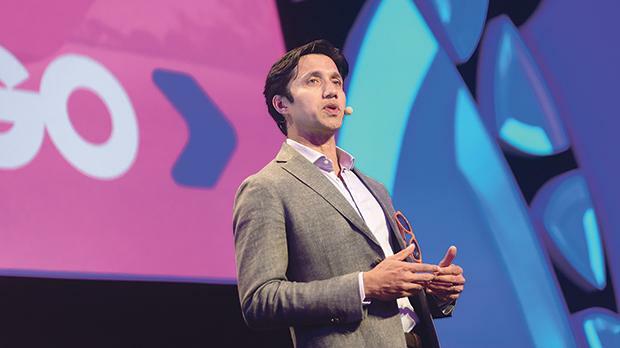 At a recent event, GO made an impactful announcement of a €2 million investment fund for start-ups, confirming the company’s strong legacy of investment and appetite for more growth. Mr Patil explained how two new business products that GO is planning to launch soon – a unified communications product based on Voice over Internet technology to replace business fixed voice telephony and a bundle which incorporates fixed telephony, internet and TV services under the umbrella of Business Infinity Pack – continue to confirm the company as the natural choice for businesses such as those operating the gaming sector. “We are fully-aware that with more services going into the cloud, upload speeds are becoming critical for any business operation. In fact, with this product, we will be delivering the highest available internet speeds on the market, that is up to 1Gb download by 500Mb upload. The value of this product lies in the fact that it will allow businesses to fully tailor their communication needs, without compromising on quality due to cost considerations. The fact that this product will keep on being developed as technologies are on-boarded, will make it the go-to product for businesses of all kinds. “IoT will be driving a lot of GO’s activity in the near future. Without going into much detail, I can safely say that technically we are very prepared, to the extent that we have a number of interesting and exciting initiatives coming up,” concluded Mr Patil.